Hockey has taken Oakland native Derek Eisler all over the world, but right now, his sights are set on a location a little closer to home. 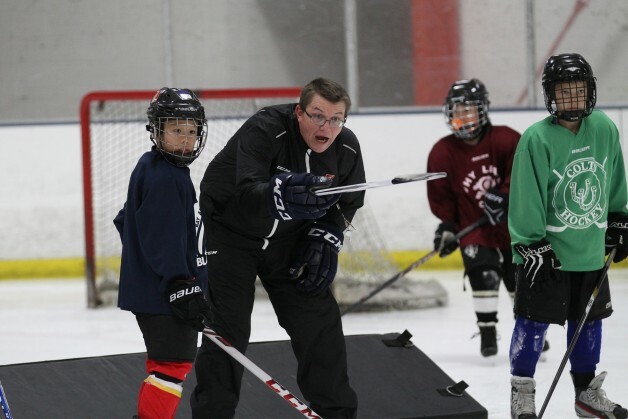 Eisler, the program founder of the Stockton-based Why Leave Hockey Development and the Bay Area Blazers, is heading up a summer camp in Stockton with the goal of prepping players for the next step in their hockey careers, regardless of age. The camp, which runs from July 24-29, has been something Eisler has been working on implementing for over 10 years. The program has its roots in San Jose, where the first Why Leave Hockey camp was established in 2004 as a two-week development camp, and while the program eventually grew to be six weeks, Eisler always wanted to incorporate the residential aspect, something that has come to fruition in Stockton. Meanwhile, the story behind the name of the camp is a nod to making sure California players keep their growth and development in-state. With over 25 years of coaching experience, Eisler has a diverse coaching portfolio ranging from working as an assistant coach with the San Jose Sharks in the early to mid-90s to coaching with the China Sharks in the Asia League of Ice Hockey. Eisler, who also currently coaches the 18U, 20U and senior men’s Israeli hockey teams, says regardless of what age he is coaching, the core message remains the same. “Our curriculum is based on skill development and conceptual things,” said Eisler. “We try and reinforce the repetition of a lot of different skills, and the repetition is going to give you the base in your skill to hopefully move you to that next level. With 10-15 Israeli players also set to attend the July camp, Eisler says at this point, pretty much everything is set outside of filling the remaining vacancies. “We have everything in place to run a high-level, instructional camp,” said Eisler. “Right now, we’re just in the application process. We have all our coaches lined up, our goalie coach, and all our off-ice instructors and counselors as well. In order for a kid to develop in this game, it’s not always about what is happening on the ice, which is something we want to translate to our players. For more information on the camp, visit www.wlhdgroup.com or email Eisler at eislerdc@aol.com. This organization lacks leadership and professionalism. Look carefully at that photo–it’s mostly parents. I wouldn’t want anyone to read this fluff piece and think Outliers was worth a second look -it isn’t. Son played for them last year and they took our money but didn’t provide any value.